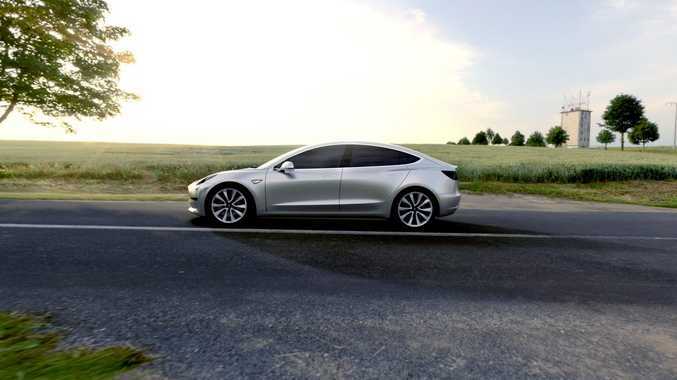 THE FUTURE: Tesla's Model 3 has an electric range of 345km, will hit 100kmh in less than six seconds, is Supercharging (rapid charge) capable, has the semi-autonomous Autopilot system as standard and offers seating for five. 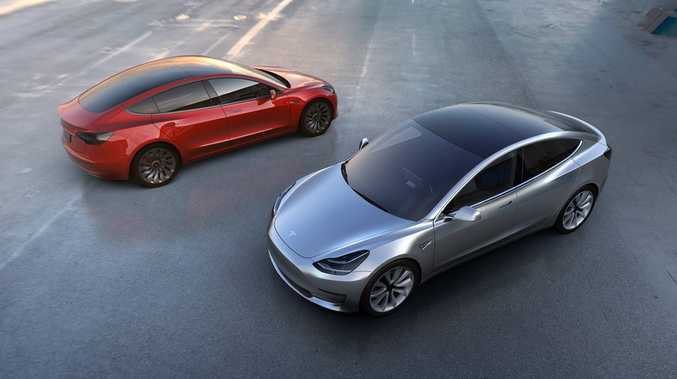 TESLA has unveiled its Model 3, a five-seater electric sedan for the masses which is due to begin production late next year and be priced from US$35,000 (AU$46,300). 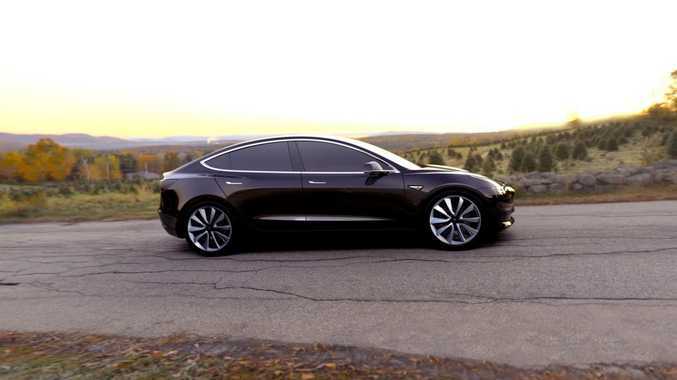 Tesla's chief executive Elon Musk tweeted on April 4 that the company had received an incredible 276,000 orders in the days following the prototype car's reveal, as well as stating: "Definitely going to need to rethink production planning." The Model 3 is arguably a make or break car for Tesla with the electric car builder reporting a net loss of $889 million in 2015 and $294 million in 2014. 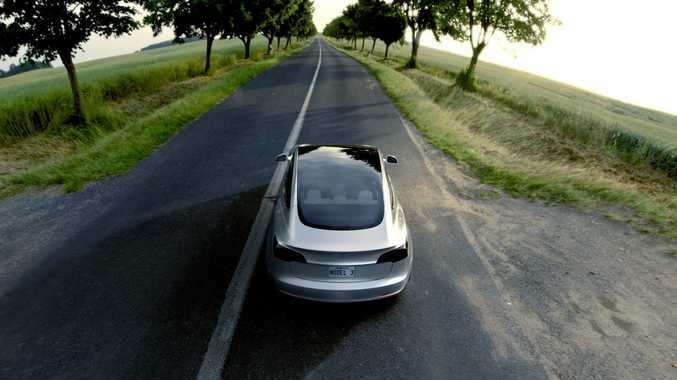 The Model 3 is the car that will be at the forefront of Tesla's intention to produce 500,000 vehicles annually by 2020; a tenfold increase in the 50,000 cars it shifted last year. 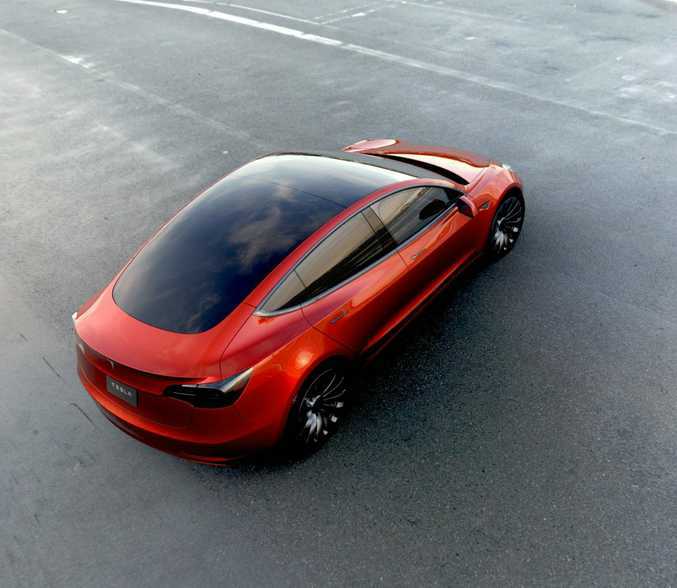 The Californian company said this was just part one of the Model 3's reveal, but what is known so far is that it will have an electric range of 345km, will hit 100kmh in less than six seconds, is Supercharging (rapid charge) capable, has the semi-autonomous Autopilot system as standard and offers seating for five. Its $35,000 starting price in the US converts to under $50,000 here, but we should expect the Model 3 to cost a fair few thousand over that when it arrives in Australia come 2018, as has happened with current Tesla models. Australians interested can put a $1500 deposit down on a Model 3 to join the (very lengthy) waiting list. If you already own a Tesla, good news is you get priority to get the new car. Price-wise the Model 3 isn't hunting Toyota Corolla/Mazda3 shoppers to truly make it a car of the people, but a sub-$60k sticker price in Australia would have BMW 3 Series, Audi A4 and Mercedes C Class buyers interested. Undoubtedly, top spec Model 3s with the likes of Ludicrous Mode (as seen on the current Model S) would rival the BMW M3, Audi RS4 Avant and Mercedes-AMG C63 S in the performance stakes. If hundreds of thousands of Model 3s are bought globally each year it will be a truly mass market offering, pushing Telstra and electric cars into a far less niche and more attainable market position. It will be Tesla's most important car to date, not to mention a hugely significant one for the entire automotive landscape. Details: Fully electric four-door sedan. 0-100kmh: Less than six seconds. Launch date: Production begins late 2017, but deposits ($1500) being taken now.